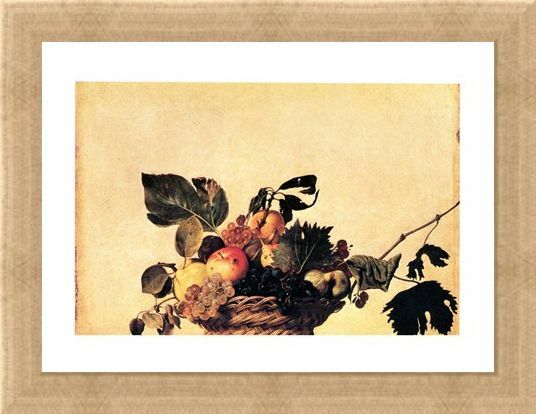 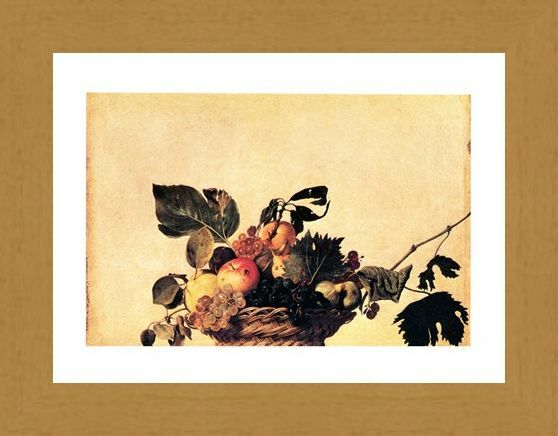 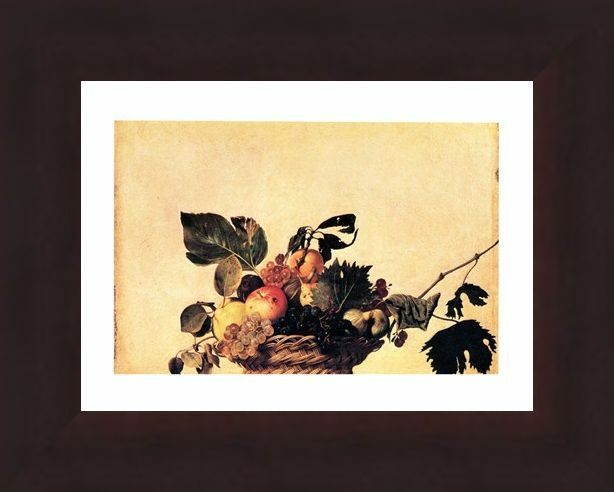 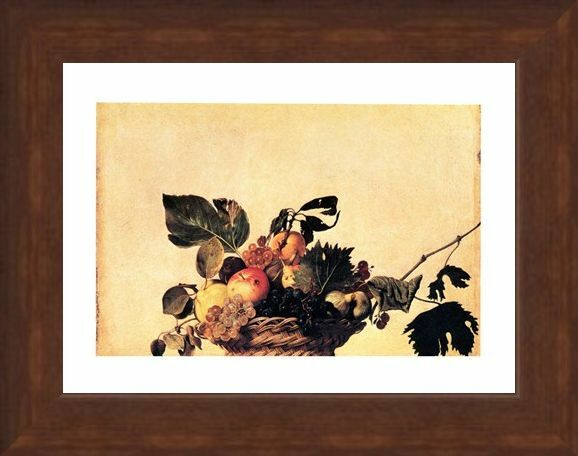 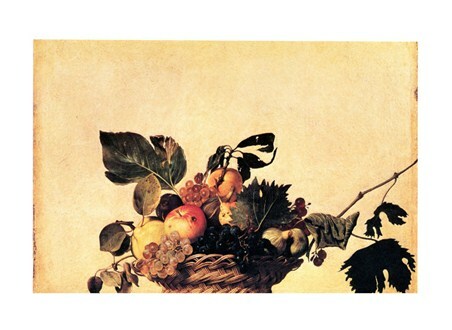 Italian Art Mini Print: Italians are known for their luxurious food and this delicious mini print shows off this fact, displaying an overflowing basket of fruits. 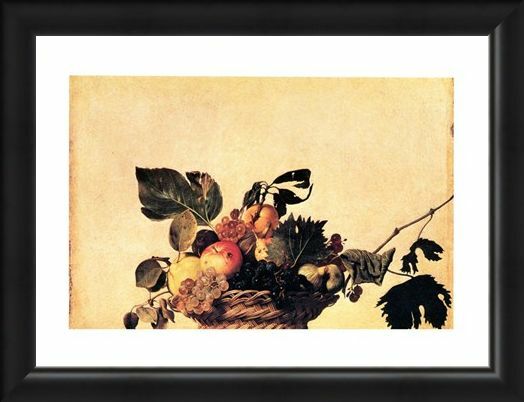 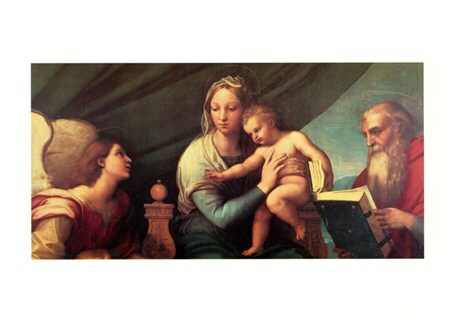 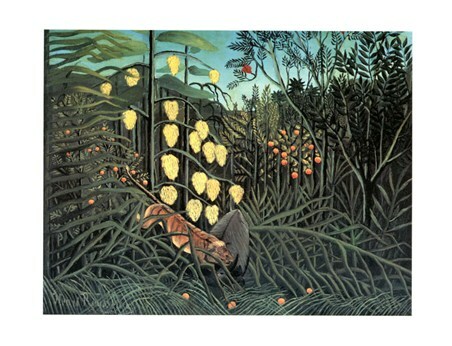 By Italian artist Caravaggio, this print looks almost photographic with its intricate detail and perfected colours. 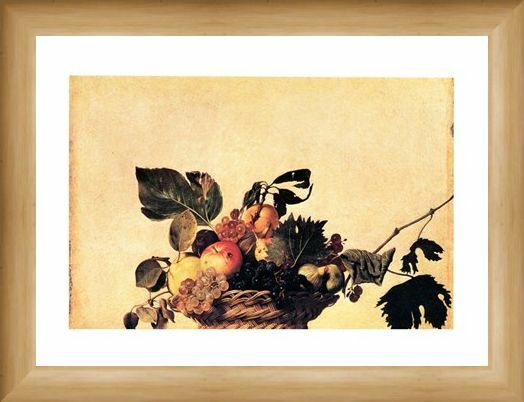 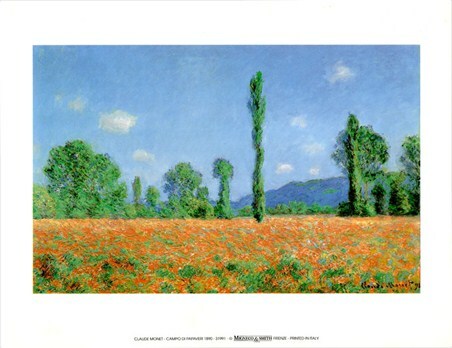 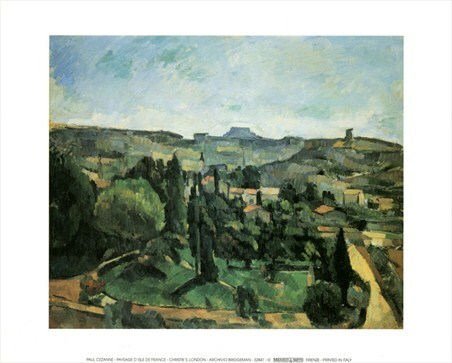 If you are looking for a mouth watering print for your kitchen or something refreshing for your living room then this wonderful piece will make the perfect addition to your wall. Make sure you get your five a day with this eye catching Italian mini print. High quality, framed Cesto Di Frutta, Caravaggio mini print with a bespoke frame by our custom framing service.